All U4-U9 (born 2010-2015) players are accepted into the youth academy program. NOTE: REGISTRATION AFTER MARCH 1st incurs a $20 late fee. NOTE: REGISTRATION AFTER MARCH 1st (For Spring season), incurs a $20 late fee. 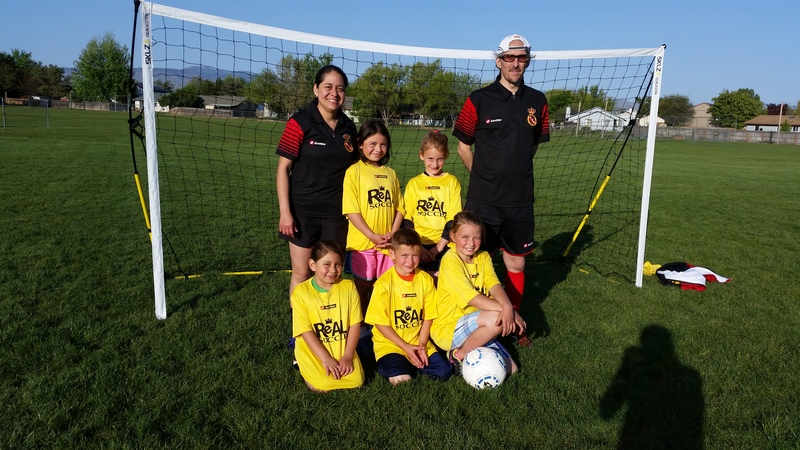 Spring 2019 – Games start on Saturday, April 6th, 2019 and end on May 18th, 2019 (6 league games and 2-3 mini games in the last weekend. Includes a Jamboree!). The League Game Schedule will be published about one week before the games start. Games will be on Saturdays. Spring 2019 – Practices start on the week of March 11th, 2019 in both Middleton and Boise. Note: Parents can choose any of our 3 locations. Note: This park used to be called Harmon Park. Players born on 2009-2010 (U8-U9). Players born on 2010-2011 (U8-U9). Sports shirt and shorts, soccer socks covering shinguards, and cleats. Also please bring water and an inflated size 3 ball for U5 and U7 players or size 4 ball for U9 players. (see age chart here if unsure). Team Rosters will be announced at the end of the second week of practices or beginning of third week of practices. When very specific circumstances are present before an event is scheduled to start (for example, poor air quality or other dangerous known-in-advanced situations), the club will send a communication before the event starts indicating it has been cancelled. Read More about weather considerations here. The Real Soccer Club believes in giving the most meaningful training environment to their players using age appropriate methodologies. Player is at the center. The training philosophy in our youth academy is to emphasize technique, vision & awareness, individual & small sided tactical insight (principles of play), creativity, improvisation, coordination, socialization, and sportsmanship. 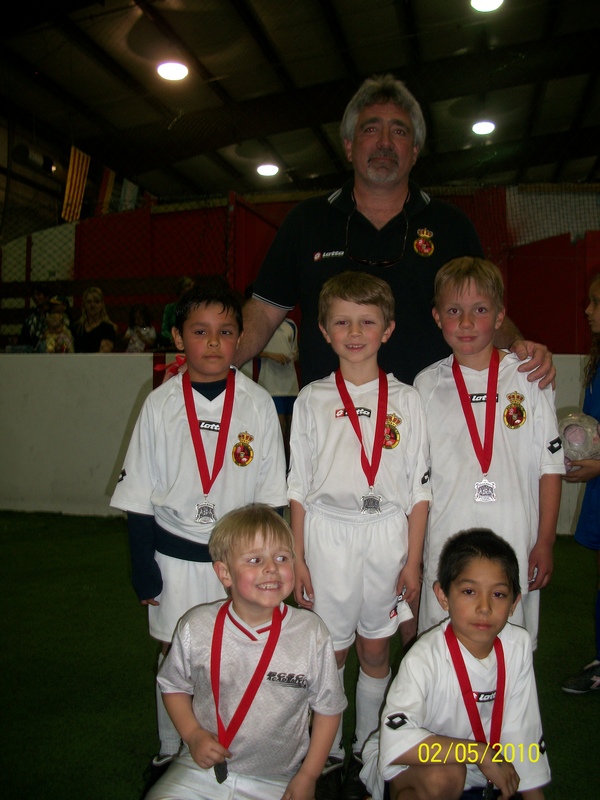 U4-U9 Academy team coaches (pro coaches and volunteer coaches) are guided by a professional Director of Coaching. Sound players who love the game, stay healthy, and perform their best are better prepared to potentially move to a more competitive environment starting at U10. To develop elegant , technical players at a young age is key to our success as a club. Exposing young players to top notch fun training environments accelerates improvement of technical skills and the comprehension of dynamic soccer and the love for our sport. In this sense, our U7, U8 and U9 academy players are eligible every year to participate in our International Summer Camp hosted in Middleton by our Top Flight “Serie A” Italian Pro Club AC Chievo Verona partner and its academy coaches from Verona, Italy. All coaches need to (a) register with Real SC and IYSA (b) submit data during the this registration process so IYSA (Idaho Youth Soccer Association) can complete background check (every two years) and (c) complete a mandatory short concussion course before they can coach. This is a state wide Idaho Youth Soccer Association requirement. Instructions to do these steps can be accessed here. Youth Academy Coaches are a group of nationally licensed coaches as well as volunteer parents, who will be guided by our Youth Academy Director of Coaching. During the season, Youth Academy volunteer coaches will have the opportunity to see first hand our director and pro coaches conduct training on different topics with their pools. These training sessions/clinics will impact the way coaches train and how their teams develop. In addition, simple to follow weekly training plans are send in advance weekly to all coaches. The pro-coaches and directors’ sessions take place during regular practice hours, so an extra commitment is not required by our volunteer coaches. These training session are geared to the different academy pool age brackets. Team coaches will be assisting on these sessions. Youth Academy Volunteer Coaches are asked to complete a 20 minutes online US Soccer course during their first season in our club’s academy. This free introductory module, which represents the first step in the newly revised coaching license pathway, is now the general starting point of the pathway and is the required prerequisite to undergo any of U.S. Soccer’s Grassroots Licensing Courses. Coaches who complete the module will also be provided with four complimentary Play-Practice-Play training sessions. This is the first coaching license within the U.S. Soccer’s Grassroots Licensing Courses. Youth Academy Volunteer Coaches are expected to complete it during their second season in our club’s academy. The 4v4 Online Course is a two-hour course that builds on the principles covered in U.S. Soccer’s Introduction to Grassroots Coaching Module. Specifically, candidates will learn more about U.S. Soccer’s Grassroots Coaching Education Philosophy, Play-Practice-Play Methodology, the Six Tasks of a Coach, and the characteristics of players aged 6-8. The course will also ask each candidate to reflect on their experiences to develop action steps for personal growth. In order to register for the 4v4 Online Course, candidates must have completed U.S. Soccer’s Introduction to Grassroots Coaching module. This module can be accessed in the previous section or directly here. To take the course, go to the Digital Coaching Center and login. then Click on Courses, and Go to Grassroots Courses, and find the 4v4 Course. If you prefer to do this course in person, you can visit the Idaho coaches courses calendar here. The 4v4 Online Course is $25 and includes access to training sessions and planning tools in the Digital Coaching Center. The Real Soccer Club will reimburse you once you submit your 4v4 Coaching License Certificate to the club’s director of Coaching. Another resource for U4-U9 coaches is the “U6-U8 Youth Coaching Module” through US Youth Soccer. Create an account and start your online course if you are interested. Coaches are encouraged to attend short periodic coaches meetings with the Academy Director of Coaching, Assistant Director of Coaching or an experienced pool head after one of their practices. Coaches will have an opportunity to socialize, to learn about coaching methodologies that can be incorporated into their practices right away, and to discuss important topics that affect their teams and our academy. At the Youth Academy Level, teams will usually practice twice a week (45-75 minutes each session, depending of the age group). For Fall, practices start towards the end of August, which is about three or four weeks before the start of the league games (games usually start the weekend following Labor Day weekend and run for 7 consecutive weekends). In Spring, practices start towards the middle of March, three weeks before the start of league games (games usually start at the beginning of April). Winter training and playing futsal or indoor soccer during those months is optional for the teams. We may add locations depending on interest. Our Youth Academy program is one of the least expensive Youth Academies in Idaho and probably in the USA ($25/season/player and it includes everything except the Real socks) and still it is directed by a dedicated professional Youth Academy Director, who has the support of an assistant academy director of coaching, and an academy manager in addition to multiple licensed coaches, multiple volunteer parents, a professional Club Director, and a professional Director of Coaching for competitive soccer. (See Soccer Operations Staff). You can read here more about what kind of expenses a soccer club has. For example, any player joining our program at U4 will train and play 6 years almost for free!! Any player joining our program at U6 will train and play 4 years almost for free!! These low fees are possible in part because our sponsors and bi-annual club fundraisers! Our goal is to create very aware, creative and sound technical players by the time they reach the age of 9. This is the foundation for players to love to stay in shape and practice sports for life! Note: Players are encouraged to sign for both seasons (Fall and Spring) but they can sign for individual seasons. Player Fees (Registration Fees + Club Fees) = ONLY $25/player/season ! Uniforms: Free. Loaned to players and only to be returned at the end of season if not playing that season. Just need to buy our club’s custom socks). Families have the option to but their uniforms upon registration (on sale) or visiting our online store. See below pictures of our uniforms. 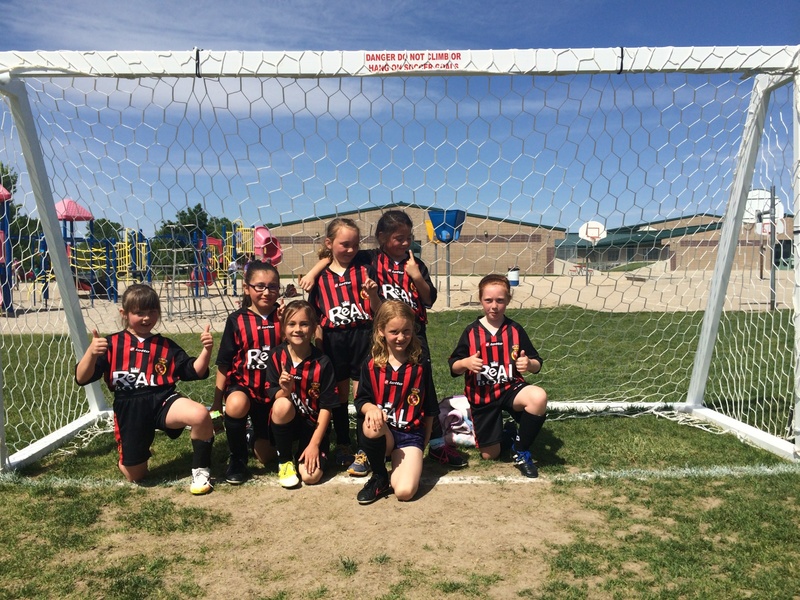 FALL SOCCER – REGISTRATION AFTER AUGUST 1st, incurs a $20 late fee. 5. UNIFORMSOur high quality, professional soccer uniforms are provided for free to our youth academy players (returned at the end of the season if not coming back the following season; players just buy socks through us). This would not be possible without the contribution of our sponsors and without the help of our teams participating in our bi-annual club’s fundraisers. Families have the option to but their uniforms upon registration (on sale) or visiting our online store. At least half of the academy league games (but usually more) will be played in your home fields (where you practice). Our U4-U5 teams play 3v3 format without goal keepers. U6, and U7 teams play 4v4 (without goal keepers). U8-U9 teams play 5v5, which includes goalkeepers. USSF mandated that by 2017 all registrations are done by the birth year instead of using the old Aug 1 to July 31st system. They also encouraged this to be adopted as best practice by Fall 2016. To get ahead of the game, our club moved our youth academy to that system starting Fall 2015 and formed our teams by birth year. Two age groups are combined when needed. How to know your age bracket? See complete age chart here! Click here for Camps & Clinics! 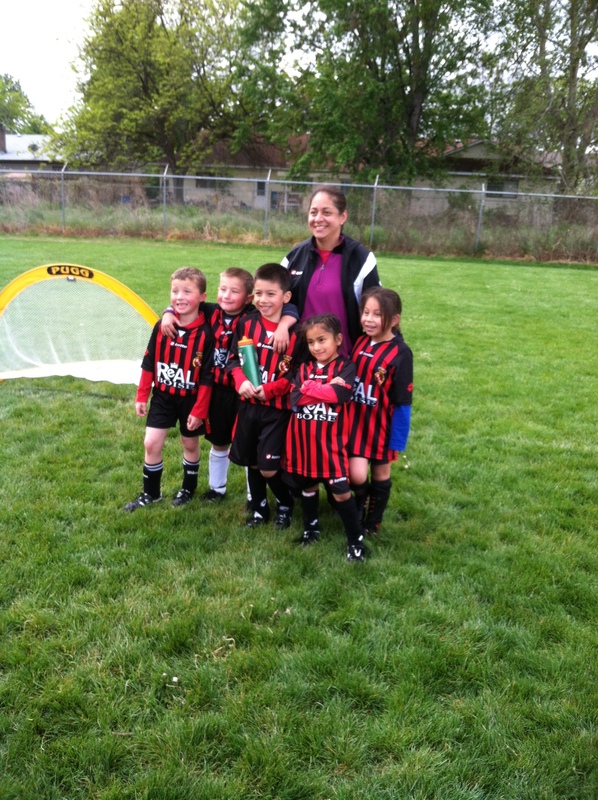 Real Boise CF U8G Whale Sharks – Spr 2014 Undefeated at Home and Having Lots of Fun all season! 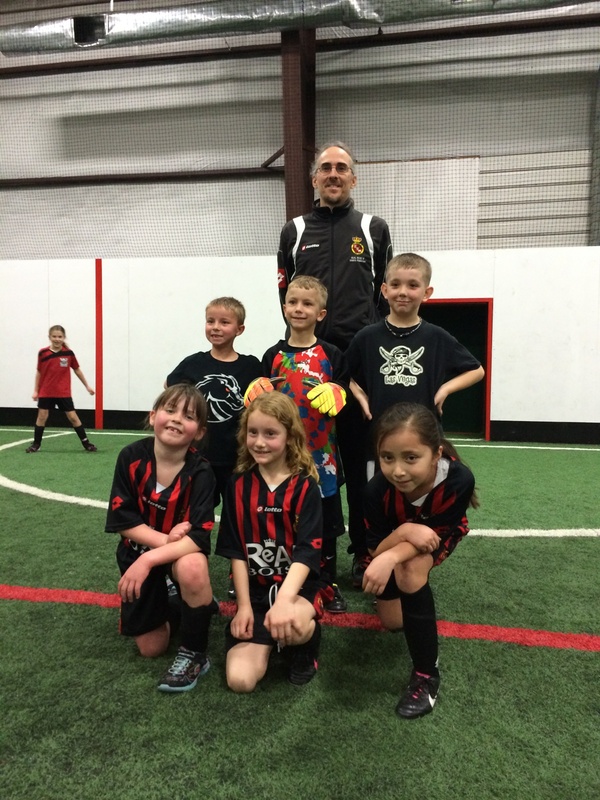 Real Boise CF U6C Manta Rays – Spr 2014 A Goal Scoring Machine! Hello im interested in enrolling my child in a soccer team. He is 3 years old, I would like to know If there are any programs available due to his age. Hi! What is his/her DOB?